Provide comfort for the family of Maria Garcia with a meaningful gesture of sympathy. 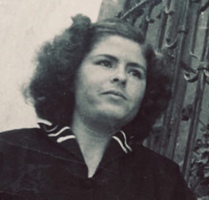 Victoria Garcia was born on December 23, 1933 in the town of Via de Santiago, N.L. Mexico and passed away on January 24, 2019 in Houston, TX. She was preceded in death by her husband, Jose Garcia. 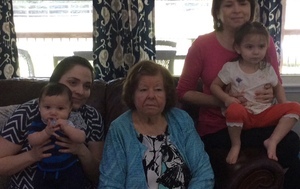 She is survived by her daughters and sons, Cecilia Wofford, Nancy Gomez, Sandra Mata, Richard Garcia and Joe Garcia…her grandchildren, Roy Gomez, Valerie Wofford, Amanda Peña, Victoria Macias, Matthew Garcia, Niall Gomez and Lauren Garcia…and her great grandchildren Jaden Macias, Malia Macias, Emma Peña and Lucas Peña. 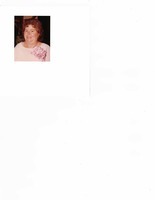 She was baptized as one of Jehovah’s Witnesses on October 7, 1973. For 45 years Victoria served Jehovah will all her heart, soul, mind and strength. (Mark 12:30) She was known for her cheerful smile, generosity and her love all of Jehovah’s creations. She enjoyed cooking…preparing meals and desserts for family and friends brought her great joy. We will miss our mother, grandmother, and great grandmother, but trust in Jehovah’s promise that she will be resurrected in the near future. (John 5:28, 29a) Funeral service held on 1/26/2019 at 6:00pm at Kingdom Hall of Jehovah’s Witnesses located at 2133 Rainbow Drive, Houston, TX. In lieu of flowers or plants donations can be made to the Houston SPCA or other Animal Shelter. To send flowers in memory of Maria Victoria Garcia (Salazar), please visit our Heartfelt Sympathies Store.